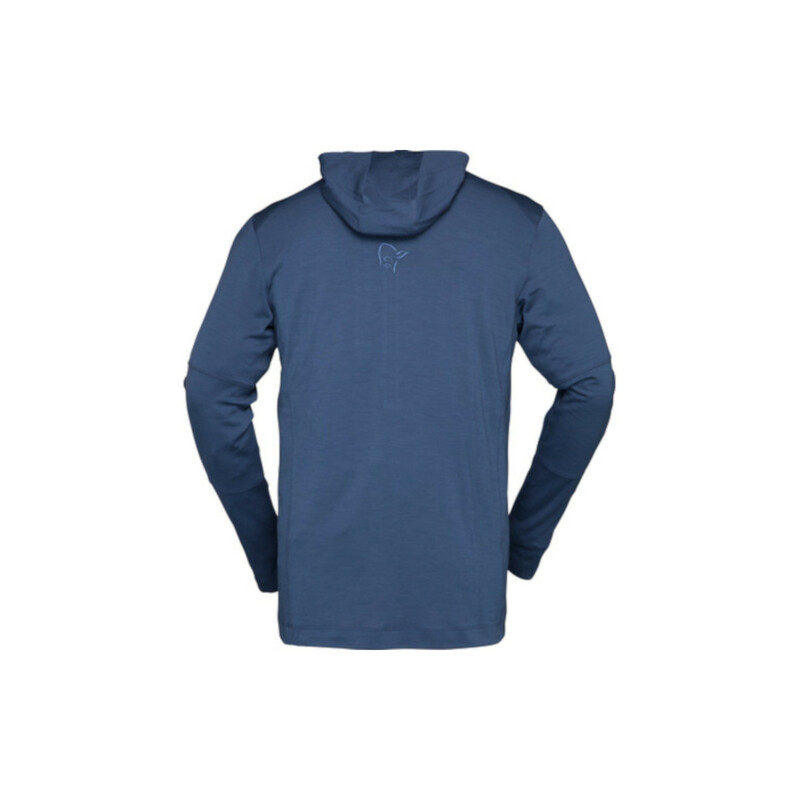 The Norrona Svalbard Wool Hood is a thin midlayer for spring/summer or can be worn as a warm baselayer in the winter. Made of wool/ polyester mix with simple, minimalist style, providing a soft and comfortable long sleeve, that is low odour, durable, low weight with excellent wicking performance for active sports. Features include a single zip chest pocket, flat seams, hood which fits inside a helmet and a half front zip for ventilation. Perfect for all outdoor activities including; glacier walking, expeditions, trekking, camping, mountain biking, snow sports, mountaineering and alpine and trad climbing. Weighing under 200 grams/m², this Norrona's lightest wool mix for warm knits. 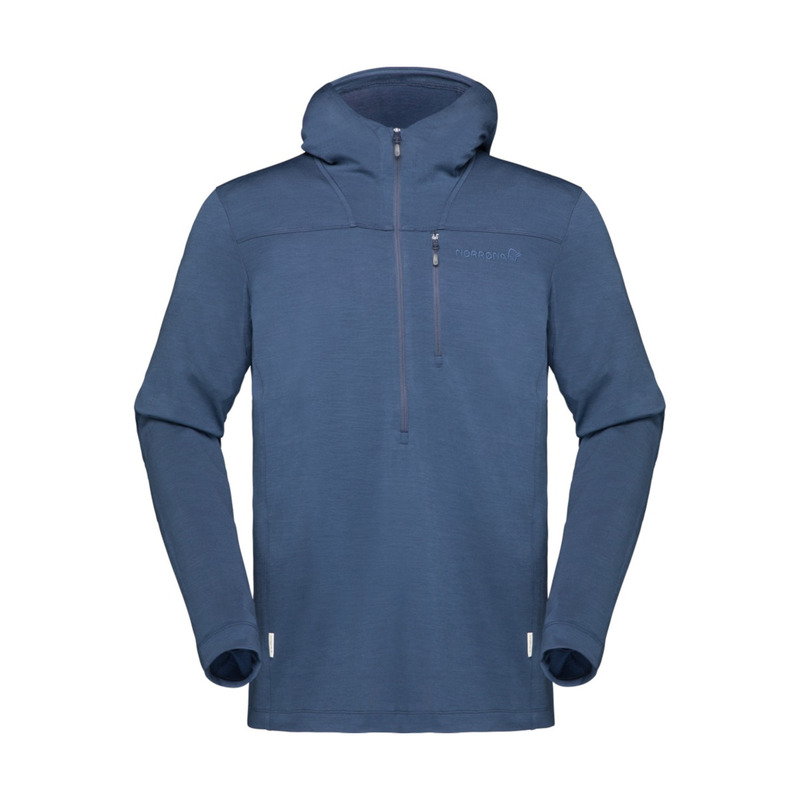 The mixed fabric combines the natural performance from wool and the durability, low weight and wicking performances from polyester, to combine the best of two worlds (89% merino wool, maximum 17,5 microns thick, and 11% polyamide.) Perfect as a mid layer, or as a baselayer without compromising on insulation and breathability. These knits are among the best in the market. Perfect for active sports, as they trap warm air without stopping moisture transport. When used alone, the fabrics are open enough to allow air to circulate, making you feel comfortable in milder conditions.